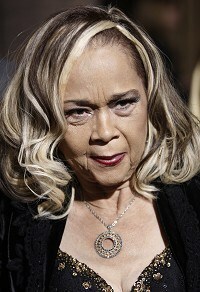 Blues singer Etta James has been admitted to hospital in the US with a potentially deadly infection. Her son, Sametto James, told the Riverside Press-Enterprise his mother was taken to an undisclosed Southern California hospital earlier this week for treatment of sepsis caused by a urinary tract infection. Sepsis is a potentially deadly blood poisoning caused by a bacterial infection. Etta, 73, was hospitalized for the same problem early last year. The At Last singer suffers from dementia, leukaemia, kidney problems and other ailments.